We offer a variety of options: From ‘Turn Key’ solutions to get your website up and ready fast, to customized websites limited only by your imagination. If you don’t have time to put the content together for your site, we can do that. If you don’t have photos, we can take care of that, too. With any solution, we include site optimization for search engines so that your customers can find you and we guarantee that your website will work successfully in the major browsers and hand-held devices. E-Commerce – Is it Worth It? 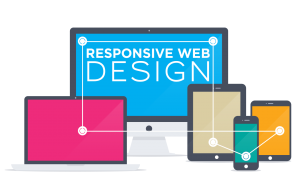 What is Responsive Design and Why Do I Need It?